Mondesi's House: NEXT STEELER COACH TO LEAVE: RAY HORTON? NEXT STEELER COACH TO LEAVE: RAY HORTON? The Pittsburgh Steelers' coaching staff has experienced significant comings and goings in the offseason, and the movement is not complete. Thursday's rumor du jour involves defensive backs coach Ray Horton, who is a candidate for the defensive coordinator job at the University of Houston. 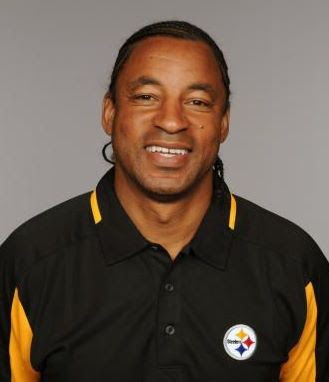 Horton, who played in the NFL from 1983-92 with Cincinnati and Dallas, joined the Steelers staff in 2004 as the assistant DB coach. He was retained from the Cowher staff and promoted to defensive backs coach by Mike Tomlin in 2007. Horton broke into the coaching ranks as assistant DB coach for the Redskins from 1994-96, where he worked with Hall of Famer Darrell Green. He was the Bengals' DB coach from 1997-2001, and the Lions' secondary coach in 2002 and 2003. Without Troy Polamalu for most of the 2009 season, Horton's unit seemed much less spectacular than in previous years. His corners had a total of two interceptions, and his safeties not named Polamalu had a total of five. The Steelers ranked 16th in pass defense last season, a number that seems destined to improve in 2010. It is my opinion that the improvement depends more on a certain player returning to the lineup more than the position coaches instructing him. Having him around makes a lot of coaches look better. So much for hiring Bobby April to oversee the special teams. He was just scooped up by the Philadelphia Eagles, per Jason La Canfora of NFL.com. Yup, I can't see how anyone would loose sleep over this firing. isn't he the same dude that won 2 out of 4 super bowls and lead the nfl in defense 3 out of 5 years including the #1 pass defense last year? you dudes are hard to please!!! !